JUST IN TIME FOR SUMMER LAKE FUN!!!!! 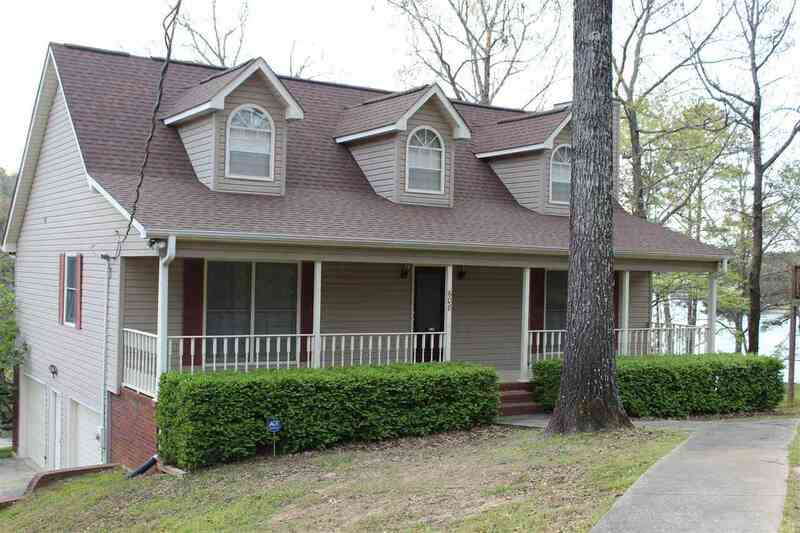 This THREE BEDROOM, THREE BATHROOM home is the perfect place to enjoy the LAKE VIEW from the large deck OR the adorable screened porch!! Enjoy your morning coffee in the kitchen or bonus/sitting room overlooking the lake, the best way to start any day!! The first floor Master has a HUGE walk in closet, the upstairs rooms are spacious and joined by a Jack and Jill bathroom, and with the beautiful brick fireplace in the den, this home is a MUST SEE!!! The attic and basement offer room for build out s and growth!! The deck is amazing for entertaining all your family friends this summer and fall!! The spacious 2 car garage has plenty of room for parking and your tool boxes and work bench!! The possibilities in this beautiful lake home are endless!! Hurry up and join the summer fun on the LAKE!!! Driving Directions: I-20 E To Pell City, South On 231 To Logan Martin Dam Rd., Take A Left On Logan Martin Dam Rd. To The End, Take A Left, Pass Alpine Bay Golf Course, Go Over Clear Creek Bridge, Take Second Road To The Right, Logan Martin Lake In The Woods, Sign In The Yard.